A pair of ethnic-looking Ramleela dangle earrings picked from Hauz Khas Village, New Delhi. A chic-n-sleek designer charm bracelet shopped from Bandra, Mumbai. An exotic Dhanxeera Pepa Haar handpicked from an Assamese handicrafts expo. Priya's jewellery box has it all. Well geared up for the upcoming festive season, she is the envy of her friends for boasting an exquisite bling collection. Thanks to her zeal for going places. Priya's jewellery showcases a cultural tapestry of India. Come Ganesh Chaturthi and it's going to be a beginning of festivities and celebrations, leading up to the wedding season. If you like to look beyond the same old yellow metal, now is the time to go on a shopping spree and explore the diversity of craftsmanship in the country. Do you think we are hinting at random shopping or a shopoholic's guide? Nay, in fact, we bring you a select list of places that will add a dash of glitter to your travel and voila, you have the best of India dazzling in your jewellery box! If it's in it's in Delhi! 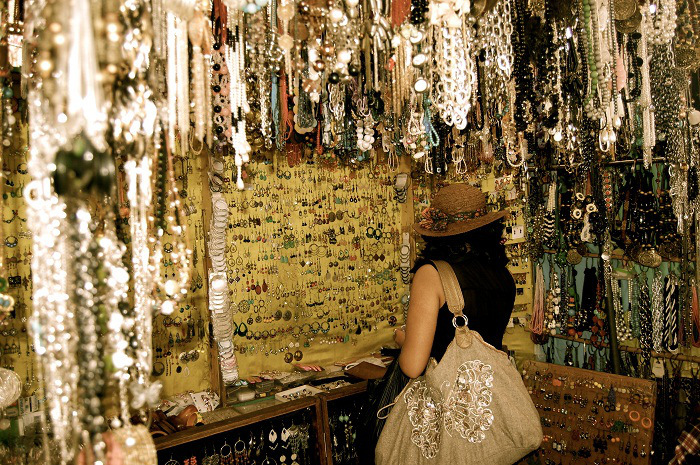 The national capital boasts of glittery markets replete with amazing varieties of jewellery that ensure you are spoilt for choice. From the latest Bollywood styles to the most ethnic-looking imitations, Delhi is truly a melting pot for shopping enthusiasts. Showcase: Apala, Delhi Artificial Jewellery, Amrapali, Jewel Junction, Advika Glittering Treasure, Suhag Wedding Collection, Suhana Art n Jewels. A mecca for fashionistas and art enthusiasts, the Pink City is one of the most celebrated cultural hubs of India. From the elegant kundans to the regal thewa, you can find imitations of your choice in the colourful-n-bustling markets of Jaipur. Bazaar Buzz: Johari Bazaar, Bapu Bazar, MI Road, Tripolia Bazaar, Saraogi Mansion basement. Showcase: Govind Rajasthali Cottage Industries, Vatika Jewellers, Poddar Jewels, Manohar Fancy Churi Store. 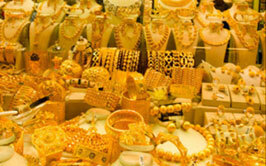 The City of Pearls is a delightful shopping treat to all those of you who celebrate the spirit of adornment. While the city's joie de vivre is infectious, its rich heritage resonates through its streets and landmark structures. 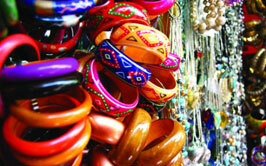 Glimmer of lac bangles and charm of pearls have enamoured tourists from India and abroad alike for ages. If you are looking for pure artistic indulgence, Thanjavur is the right choice. Famous for its glass paintings, the city is a melting pot of religion, art and architecture. Thanjavur houses some of the amazing UNESCO World Heritage Monuments. Inspired by the traditional style of Thanjavur paintings, the contemporary adaptations of miniature art on wood, marble and paper make for enticing blings! Bazaar Buzz: Anna Salai, South Rampart, Old Bus Stand. Showcase: Anil Ganesan Thanga Maligai, Surya Gold Covering & Fancy Store, Annai Abirami Jewellery, Jewel Malaysia. This city is yet another eclectic mix of history, heritage, food and bustling markets. From wedding shopping to cocktail styling, you have a wide variety to pick from. Bazaar Buzz: Bapu Nagar, Kadia, Ellis Bridge, Lal Darwaza, Kalupur, Paldi, Maninagar. Showcase: Suvarna Shrusti Jewellery, Hasu Jewellers, Ladla Gold Pvt Ltd, D Mart, National Handloom Corporation. The fashion mecca of India, Mumbai has always been one of the most hip and happening cities of the India. From contemporary chic to ethnic Bollywood imitations, you can rest assured to find the best of your festive ornaments here. 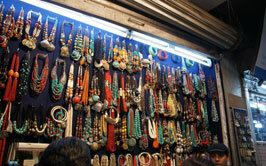 Bazaar Buzz: Hill Road, Linking Road, Fashion Street, Gandhi Market, Colaba, Dadar. Showcase: Saloni Fashion Jewellery, Chintamani Art Jewellers, Viha Jewels, Vinanti Manji Designer Jewellery, Dipam Enterprises. The commercial capital of Madhya Pradesh, Indore is truly a tourist's delight! If historical buildings is a treat to your eyes, there's enough to cater to your taste buds as well with mouth-watering street food. 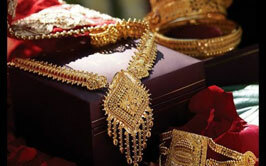 Talking of jewellery, you can get antique imitations of latkans, balis, jumkas and kangans. 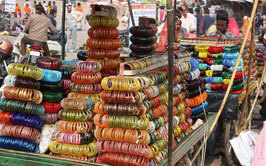 Bazaar Buzz: Khajuri Bazaar, MT Market, Topkhana & Jail Road, Bara Sarafa & Chotta Sarafa. Showcase: Raj Jewellers, Sondrya Jewellers, Ramesh Kangan Stores, Chahat Collection. One of the trendsetting cities in fashion, Kolkata is raved as India's intellectual and cultural capital of the country. Also known as the commercial capital of East India, the City if Joy is a celebration of fine arts, music, literature, cinema and much more. Jewellery is no exception! 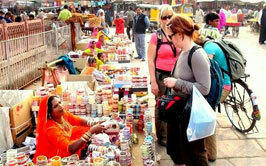 Bazaar Buzz: Bagree Market, Camac Street, New Market, Vardaan Market. Showcase: Saakshi, BD Jewellers, Chamba Lama, Suji's, Fashion Hut, Jhalak Jewellery Boutique, BC Jain Jewellers Private Limited. 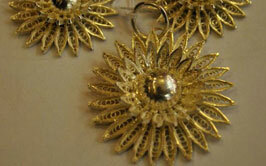 The second largest city of Odisha, Cuttack is known for the Tarakasi silver filigree work. 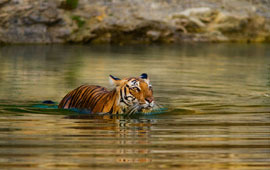 Owing to its commercial significance, Cuttack has always figured on the tourist's itinerary. Take your style quotient one notch up by handpicking some of the finest filigree and lacquer pieces. 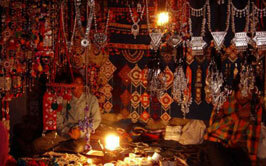 Bazaar Buzz: Tibetan Market, Choudhary Bazaar, Oriya Bazaar Gawda Sahi. Showcase: RCM Shopping Centre, Ahalya Market Complex, Bishandayal Inderchand Jewellers.